Robert Baron grew up in Chicago, fought forest fires in California, and then got drafted into the US Army in 1958. The GI Bill helped him graduate from the University of California in Berkeley, in 1963. Bob went back to college to get his first teaching credential, and began teaching in Berkeley elementary schools in 1965. In BERKELEY TEACHER Bob tells what it was like to first teach in an elementary school in the University community before integration, and then shares his story of teaching in the integrated Berkeley elementary schools, 1968-1975. Sometimes painful, sometimes funny, the classroom experiences are coupled with this now older, college teacher's current understandings. Bob taught in California community colleges after going back to college in 2007, to earn a Certificate in Post-Secondary Teaching and Learning. Bob says, "This is a book about teaching and learning. It is a book for parents and teachers and anyone else who is interested in the welfare and education of children. "For parents who read this book, I hope they see real ways to help their children to make success out of school, if they are not yet having that experience. School is a child's place. It must be a safe place, where your child wants to be. "To teachers, especially new teachers, find out who you are, what you are capable of, which age and ability levels you feel most comfortable with. Teaching, like so much we do in life is often not easy. It may be the most important job you will ever have. "For anyone else who may want to read my book, I believe it could give you a better understanding of what teaching is about, and it may help you to accept some of the great responsibility that society has for teaching all of the children, helping them to become better human beings. I think that is what education is really about." 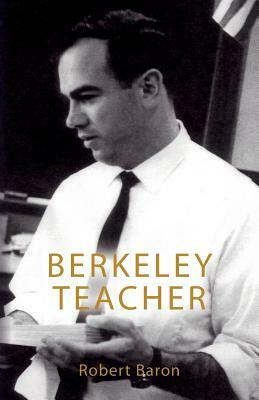 The final portion of BERKELEY TEACHER includes Bob's research and thesis on "Desegregation and Busing in Berkeley: Student Opinions, Attitudes and Perceptions," completed as a requirement for his Master's Degree at California State University, Hayward (now East Bay), in 1976.